I’m drawing close to the end on this guy! 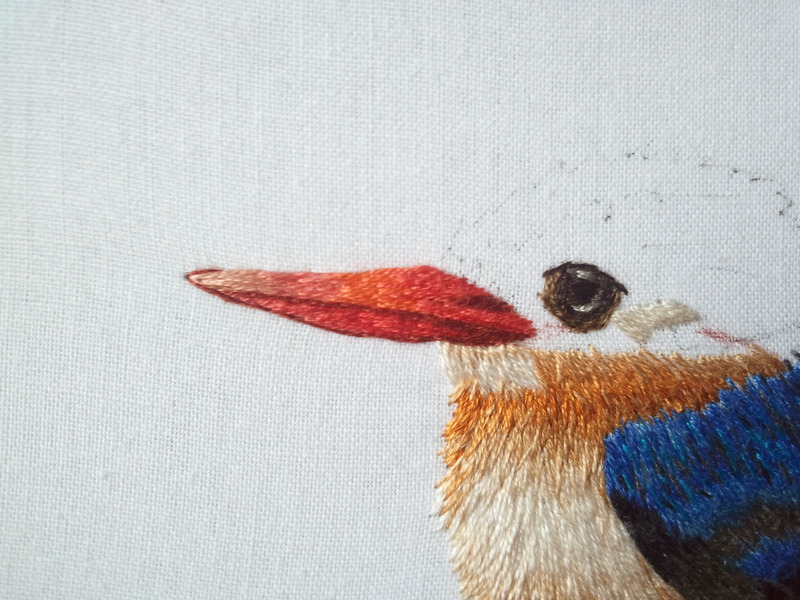 Now that the beak and eye are filled in, there’s only the head to go. This has made it easier to bring the project with me in addition to making each section more manageable. This project uses a lot of colors! All the colors on the final card are going on his head. This project has been a revelation on how blended it’s possible to make needlepainting when you use so many colors. 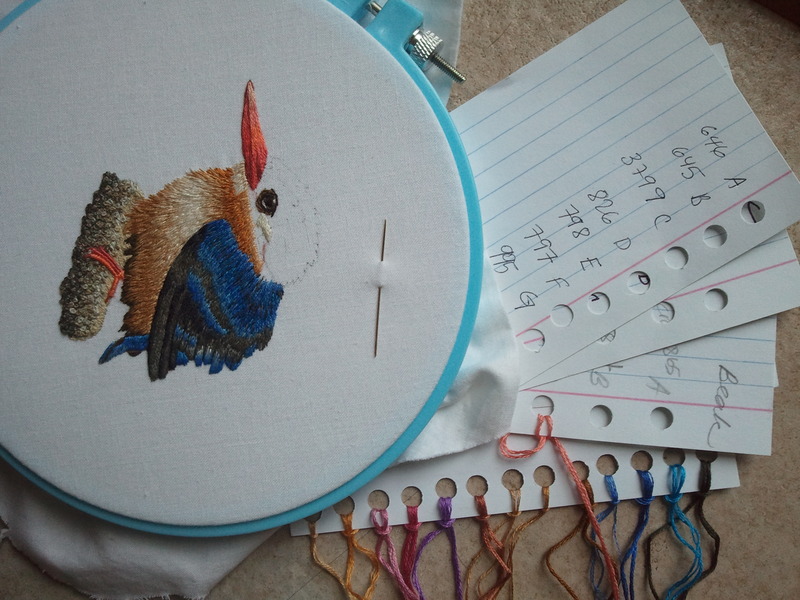 This entry was posted in Other people's designs and tagged birds, blue, embroid, kingfisher, needlepainting, surface embroidery, trish burr by Rene. Bookmark the permalink. Lovely! That eye is just perfect. Thank you! I’m very happy with how the highlights came out. Thanks, Caine! It’s been a learning experience, but I’m very happy with the end result.